I hope y’all have been keeping track of important levels on USD/CHF because it’s just a few pips away from one right now! I’m talking about the .9500 handle, which lines up almost perfectly with the 50% Fib level. 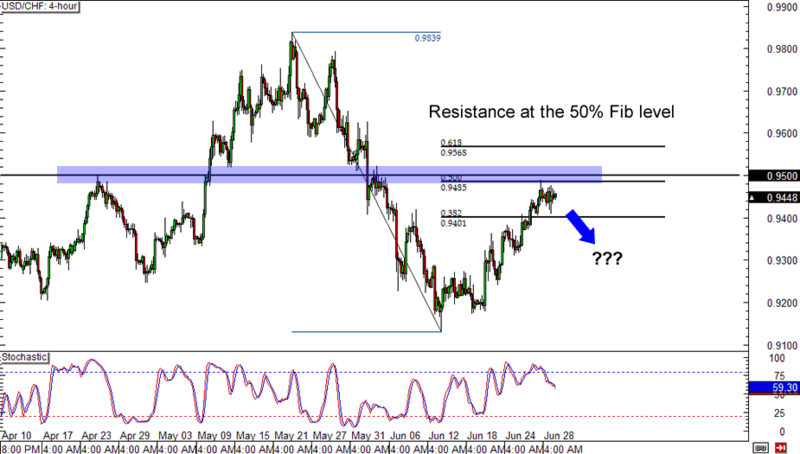 It held as a major resistance level in the past, so there’s a chance it will keep USD/CHF buyers at bay once again. 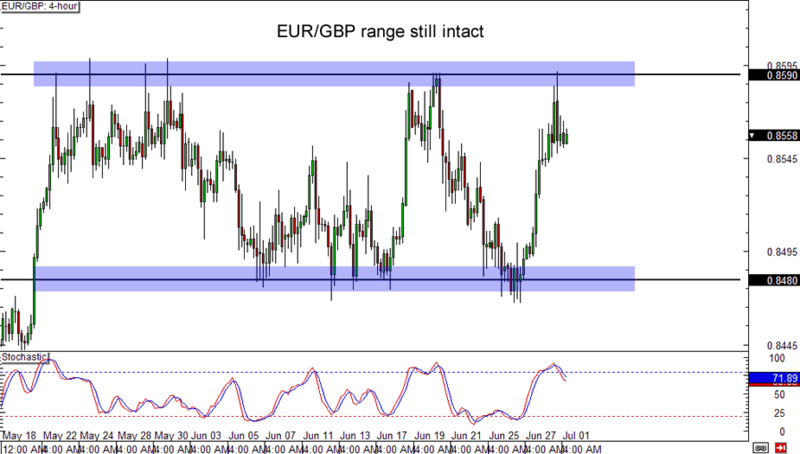 Will EUR/GBP ever bust out of its range? Price just bounced off the top of the range, and with Stochastic indicating overbought conditions, it’s starting to look like sellers might regain control of this pair again. If you’re feeling bearish, aiming for the bottom of the range around .8480 could be a profitable strategy. On the other hand, if you think it’s time for buyers to take over, it might be safer to wait for an upside breakout before going long. 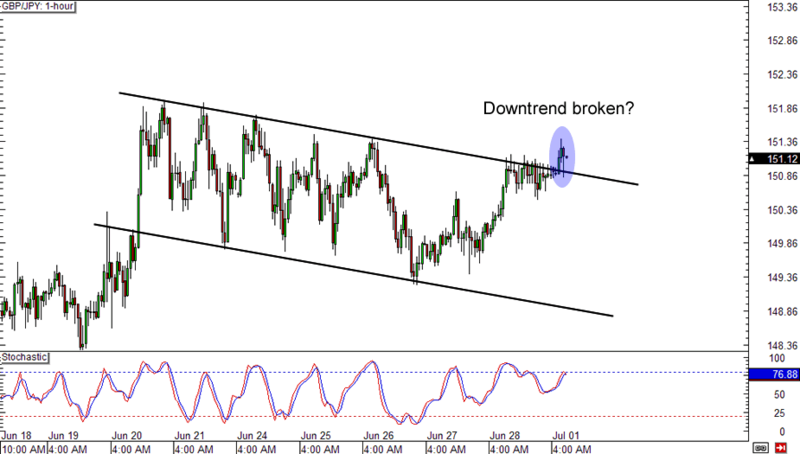 Is the downtrend on GBP/JPY officially over? It looks that way! The pair just broke out of its falling channel and is trading above the 151.00 handle. Y’all better keep tabs on this pair because this might just mean that it’s headed for new heights!